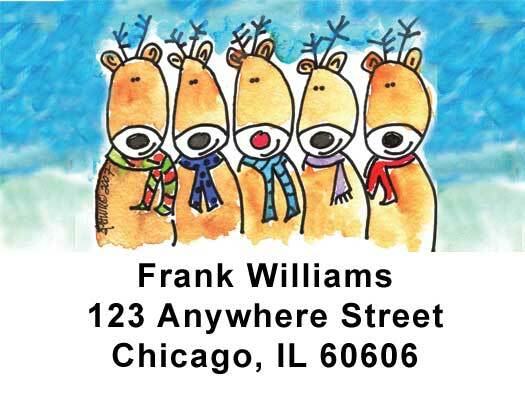 Dancing Deer Address Labels - These Amy Petrik Address Labels will add an element of upbeat fun to your wallet. Enjoy these Amy Petrik classic with every letter you mail! Consider adding personal checks with this same design to your order. Save 10% on your order - Get our preferred customer discount code! Orders are usually produced within 72 hours upon receipt of payment and necessary information. Label Size 1 5/8" X 1 1/4"